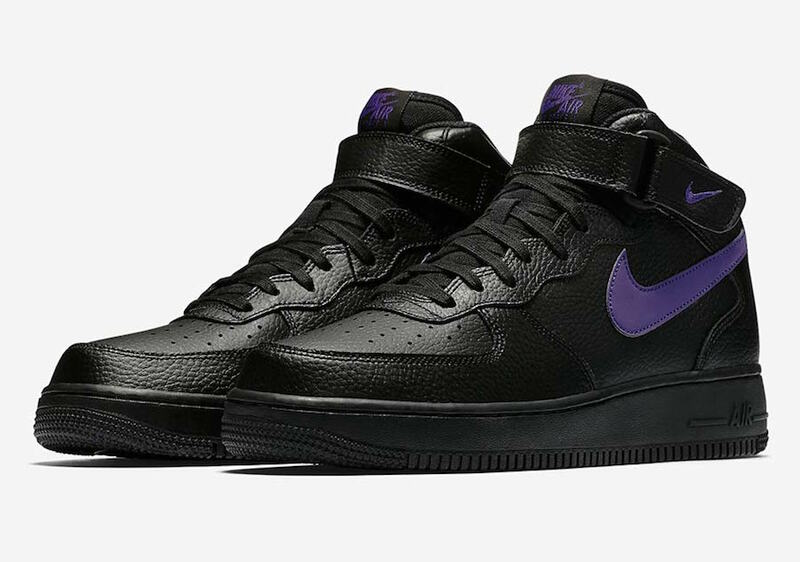 Nike Sportswear will be releasing a set of Nike Air Force 1 Low variations as well as matching Nike Air Force 1 Mid color options (shown here) as part of a “Black Leather” Pack for the fall season. Each pair features a Black leather upper paired with either Court Purple, Neptune Green, and White accents. The highlight of these releases are their Reflective Nike Swoosh logos on the sides and mini Swoosh logos on the straps. Check out the Nike Air Force 1 Mid Black Leather Pack below and look for each of them to release very soon at select Nike Sportswear retailers and Nike.com.